Translation statistics. 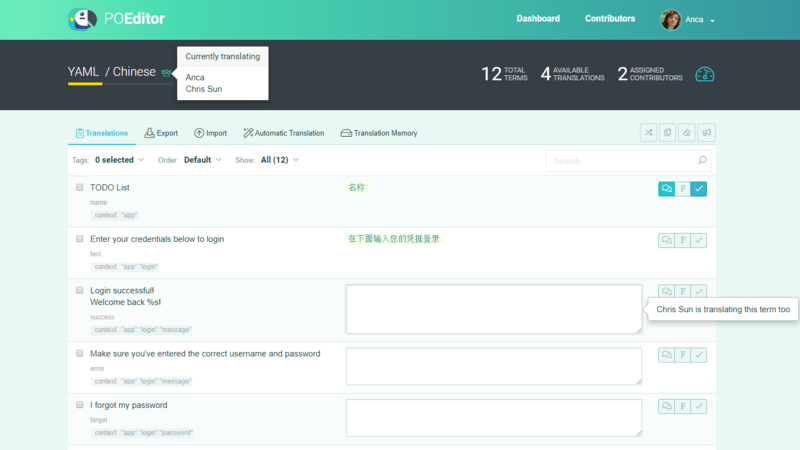 Each project has reports by languages and reports by contributors, which you can check for specific time frames. String, character and word counts are also available here. 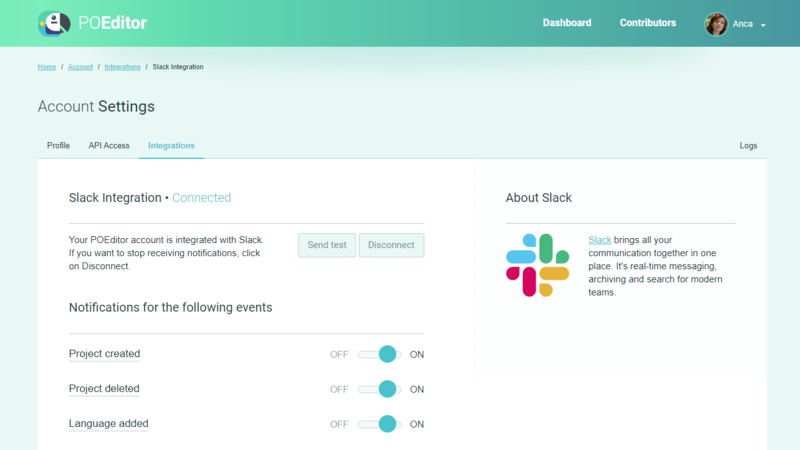 Slack integration. 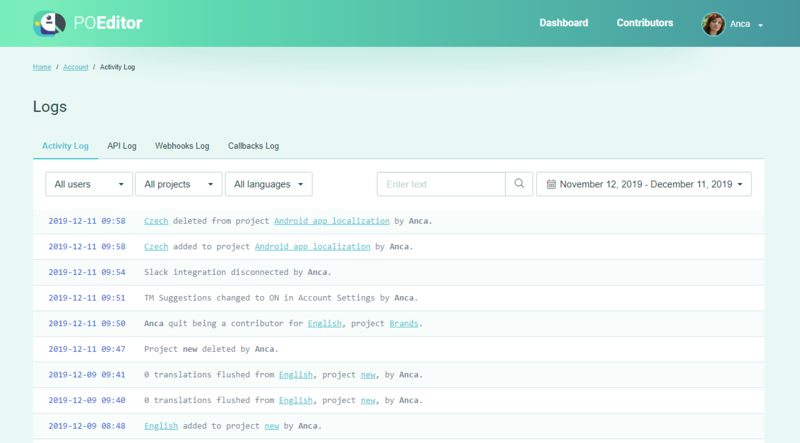 This integration notifies the project owner (and others, optionally) about important events in the localization project. Logs. Each POEditor account has a 3 logs: an activity log, an API log and a Webhooks log, which keeps logs about the activiy related to your account. Realtime Translation System. This shows project owners and administrators who else is connected to the project. It also shows when these users add or delete translations in the project languages.